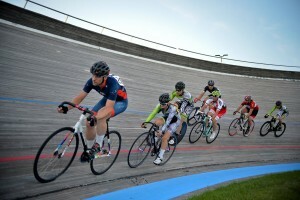 It is recommended for a newbie to practice sitting on a track bike, taking it for a ride on a flat ground surface before you hop on to the real deal, which is riding it on the velodrome track and here is why. A track bike seatpost is relatively higher from its handlebar as compare to a road bike; riders have to lean further forward and lower. This position will create better aerodynamic movement as you cut through the wind. Riding on a track bike is not the same as riding a commuter bike, road bike or mountain bike. Track bike does not have brakes and you can’t coast or freewheel on the bike; moreover, when your bike shoes are clipped on to the pedal, it takes some motor control skill and muscle memory to get on/off, move/stop the bike. Therefore, practicing on a flat ground surface before heading to the track is highly recommended for beginners. Before we could talk about the experience and sensation of riding track bike on NSC Velodrome track, first — we need to understand the material used to built the velodrome because the surface, material, structure and design of a Velodrome will determine how balanced, comfortable and smooth the ride is on a Velodrome track. 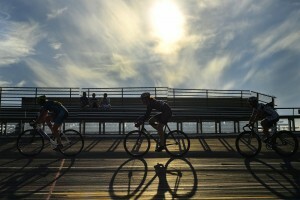 Most Velodrome in United States are NOT made from wood. 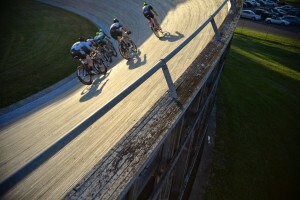 NSC Velodrome is one out of three velodromes in the U.S. that is made of wood. NSC velodrome track is an outdoor wooden track, built in 1990, made of ultra-durable African Afzalia wood. When my two tires wheeled on that wooden structure, it rode so smoothly, quietly and evenly — it felt frictionless and extremely light to ride on the track. It made me wants to move at God speed on the track. That’s the most profound, memorable and unforgettable experience I had in my memory chips! On velodrome, you can ride as fast as you could without having to worry about centripetal force because the track wall is tilted at 43 degree angle at the corner turn and 15 degree on the straightaways. 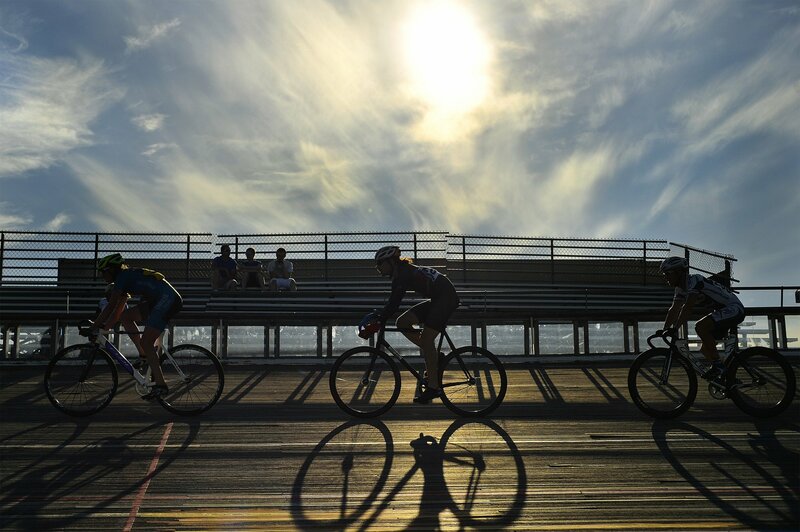 Velodrome is designed so that riders can ride at maximum speed on every single runs and corners of the track. The minimum speed requirement at the corner track is 17 mph; riders could slide off the track if they do not meet the minimum speed limit. 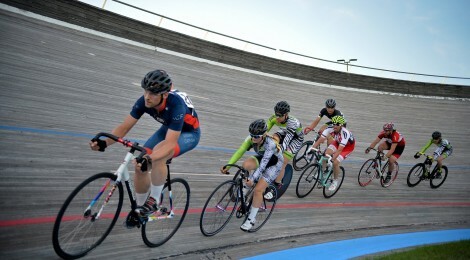 Unfortunately, NSC Velodrome is 25 years old as of date, Aug 3, 2015. Maintenance and repair was done earlier this year and it should last for another 4 years. The velodrome will be closed and demolished for good after 2019 racing season. Minnesota state plans to build an indoor velodrome in North East Minneapolis. Hopefully, track riders will be able to experience equally nice, smooth, and frictionless ride on the new velodrome in 2019.